Always leading at the intersection of health and design, Senserit's CEO hosts the founding show of the Carpool Network. Hear the authentic voices, personal stories and connections you'll only get with Gail. Learn the people and their passions behind the celebrities, authors, designers, physicians, patients, policy makers, politicians and thought-leaders: people changing the world in health and design today. Our guests are facing challenges and triumphing with creativity, courage, honor and inner strength. They won't stop because "it's always been done". Gail's guests are the ones who blaze the trail we can follow into the next generation. Every program with Gail Zahtz you will: - Hear the real true life stories, challenges and victories from leaders, writers and stories you see on the news; - Learn real solutions you can make today to make your life easier, safer and more beautiful for everyone you love; - Realize that you are not alone in the challenges we face daily and though-out our lives; - Find others who are Making It Matter with the very challenges that stop others; - Become a part of the solution for more health, beauty and true disruptive change- NOW. 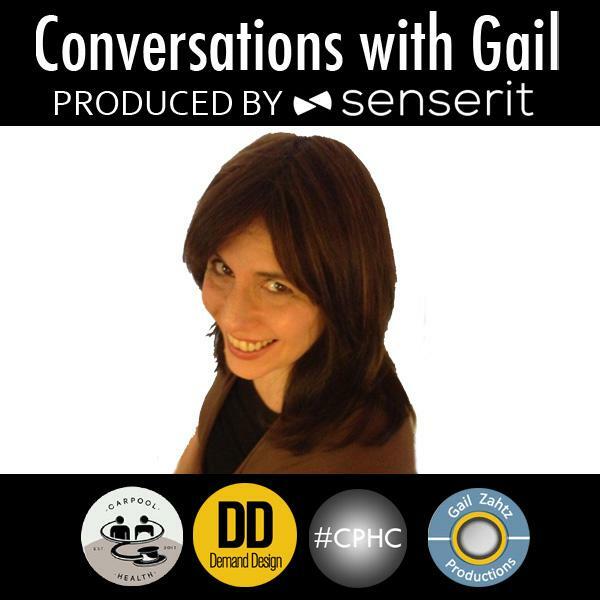 Health and Design Today with Gail Zahtz is the blogtalkradio arm of her branded communities, platforms, initiatives and other media focused on health + design including Carpool Health and Demand Design. Here we have personal, in-depth conversations with: - New York Times best-selling authors, - International patient advocates and people you may never know with life-altering stories of turning tragedy into courageous advocacy, - World re-known physicians, providers, scientists in their specialty, - Entrepreneurs, visionaries, non-profit leaders, neighborhood activists who risk it all everyday to make change; - Architects, designers, artists and visionaries who are leading a new era of design. In Januray of this year, Ethan Saylor- a boy with Down Syndrome- went to the movie theater, the police got involved when he tried to watch the show again, and he died. It was a homicide. But there were no charges brought against the police, there has been no independent investigation, the Sheriff and Maryland Governor Martin O'Malley won't speak to the press. With no organization behind her, with no professional organizer, with nothing but love and determination, his young twenties sister would not let her brother's story die. She created a petition on Change.org and got over 350,000 signatures asking for police training and an independent investigation. With her mother she took it to the Governor himself... who after nine months of silence at least has called for police training for people with disabilities. What kind of rmarkable girl does it take to hold on and figut publicly- having no experience with the press, organizing or "handlers" to make this happen? No doubt someone remarkable! In her first ever in-depth interview, we'll be talking live. A fabulous way to end the week we've started for Ethan Saylor.